Villa del Palmar Timeshare is the name of a chain of resorts in Mexico’s top vacation destinations that are owned and administered by The Villagroup, a timeshare company with a long history in the industry and an ever-growing repertoire of family resorts and hotels. 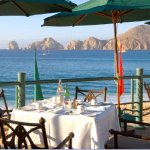 Each of the Villa del Palmar Timeshare resorts is distinguished by its location such as Villa del Palmar Puerto Vallarta, Villa del Palmar Cancun and Villa del Palmar Cabo San Lucas and so on. 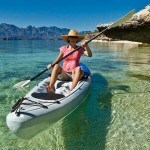 There are also Villa del Palmar resorts in the islands of Loreto and Nuevo Vallarta (Flamingos). The Villagroup Timeshare have a distinctive recipe for success and while each Villa del Palmar timeshare has its own unique features in terms of details and layout, the essential ingredients for a first class vacation are always present: amazing pools for swimming, lounging and playing, incredible restaurants, excellent spa and gym facilities, fully trained staff and access to a safe sandy beach. As a timeshare owner, you own a fraction of this paradise and become part of the fabric that makes Villa del Palmar one of the successful timeshare chains to have survived the recent economic crisis with its standards intact and its services better than ever. 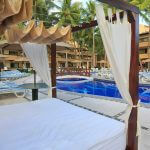 You just cannot get better value for money and more comfortable surroundings than Villa del Palmar Timeshare. 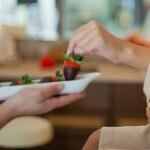 Timeshare ownership at a Villa del Palmar resort is a privilege that can be shared with friends and family, with each of its members contributing to the atmosphere of the beach resorts with their presence and energy. You can invite friends and family to join you in your unit or even lend or rent your Villa del Palmar timeshare when you are unable to visit. Whatever you decide, your Villa del Palmar timeshare can be as flexible as you need. Villa Preferred Access is one way in which Villa del Palmar timeshare becomes completely flexible as you transfer your timeshare week into points that can be divided and banked according to your usage each year. 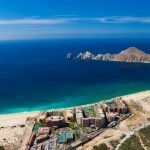 For example, this program allows you to exchange your timeshare for one of the resorts, say Villa del Palmar Cabo San Lucas, for similar accommodation in Puerto Vallarta and visa versa. Likewise, you can split your time into two smaller visits, spending a weekend twice a year rather than a full week. Villa Preferred Access simply makes your Villa del Palmar Timeshare work to suit your needs.